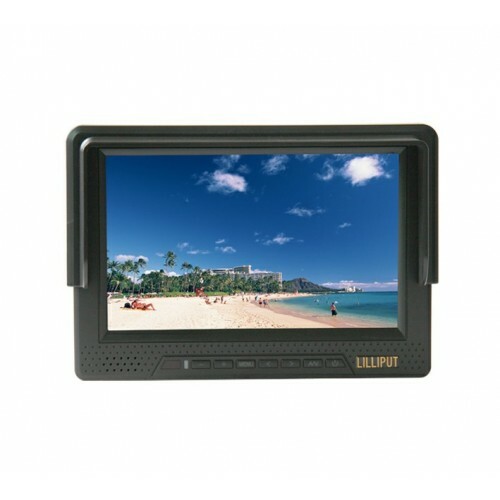 The Lilliput 668GL-70NP/H/Y is a 7" 16:9 LCD field monitor with built-in battery, HDMI, component video and sunhood. Optimised for pro-video applications. Sometimes you need to view a bigger image than the one provided by the minature screen built into your camera. 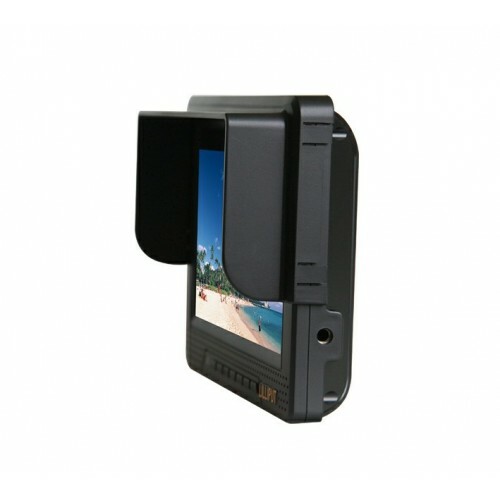 The 7" screen gives directors and cameramen a larger viewfinder, while the 16:9 aspect ratio complements HD resolutions. Designed for the pro-video market, but at a budget price. Camera equipment can be expensive - but your field monitor doesn't have to be. Lilliput manufacture durable and high quality hardware, retailing at a fraction of the cost of more well known brands. With the majority of DSLR cameras supporting HDMI output, 668 is an ideal addition. The 668 is supplied with many accessories - shoe mount adapter, sunhood, HDMI cable and remote control, saving you a great deal aftermarket purchases..
Professional camera crews and photographers require accurate colour representation on their field monitor, and the 668GL provides just that. The LED backlit, matt display has a 500:1 colour contrast ratio so colours are rich and vibrant, and the matt display prevents any unnecessary glare or reflection. With its 450 cd/m2 backlight, the 668 produces a bright clear picture. Screen content remains viewable when the 668 is used under sunlight and the inclusive sunhood provides additional clarity. The display on the 668GL remains perfectly viewable 130º horizontally and 120º vertically (from the centre point). This feature is useful for when there are multiple cameramen and a director standing around a single monitor to view content. The 668GL has an internal, user replaceable, rechargeable battery that holds charge for around 2-3 hours of continuous use. 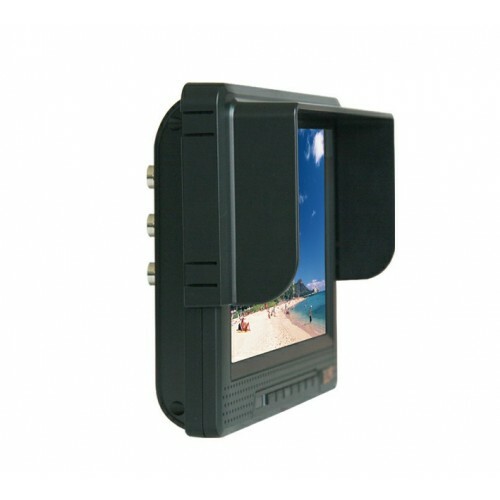 One internal battery is supplied with the monitor as standard, and extra internal and external backup batteries can be purchased. No matter which camera or AV equipment our customers use with the 668GL, there is a video input to suit all applications. Most DSLR cameras ship with an HDMI output, but larger production cameras output HD component and regular composite through BNC connectors. You won't find component BNC on any other Lilliput monitor, but HDMI, component and composite are present on the 668GL - another reason why the 668GL is built for pro-video applications. The 667 features 2 1/4" BS Whitworth thread inserts,allowing the monitor to be quickly mounted on either a tripod or camera. A. 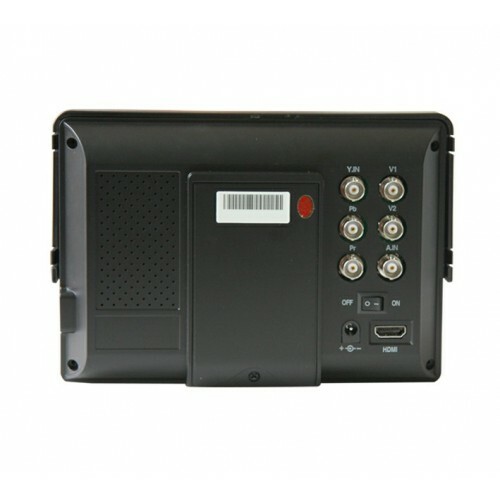 The 668GL-70NP/H/Y can attach using an HDMI connector (mini HDMI to HDMI is included in the box), Composite connections, and Component connections. The Composite / Component connections are made using a BNC connection – converters for these are available upon request. Q. Can I use this monitor with Blackmagic cameras? A. The 668GL is of an older generation of monitors and as such does not have the correct input frequencies to allow it to work with the Blackmagic camera family. A. The power supply included with the unit is a 12V 2A standard wall socket connector. The unit itself uses 9-24V, and the current usage is 650mA when charging the onboard battery (50mA in standby). It is also equipped with an XLR 9-24V DC connector on the back of the unit. A. This unit is supplied with an onboard battery which is rated to last between 2 and 3 hours on a single overnight charge. External batteries are available that can extend this life, as are replacement batteries for the included unit. Q. What resolutions does the 668GL-70NP/H/Y support? A. The panel has a native resolution of 800 x 480, giving 384000 pixels on screen. A. 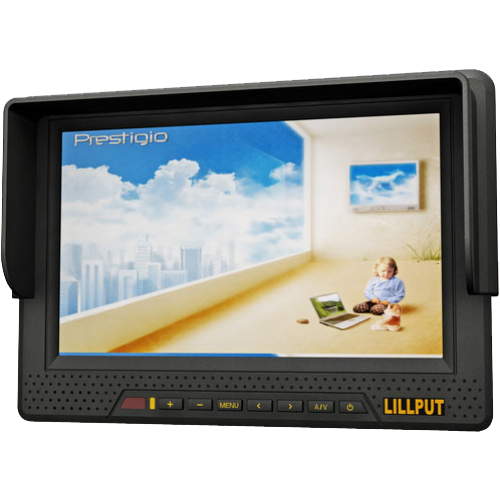 Yes – the 668GL-70NP/H/Y has a screen brightness of 450cd/m and a contrast ratio of 500:1. It also comes supplied with a sunshade to give added extra protection. A. No – however the monitor does have a small speaker for cursory sound monitoring if required. It should be noted that the monitor will only play sound if the source connection is HDMI – the other connectivity cables do not pass sound into the system, only image. The YOKU 465585 is a 2200 mAh Lithium-Ion replacement battery for the Lilliput 668GL-70NP/H/Y or Lil..